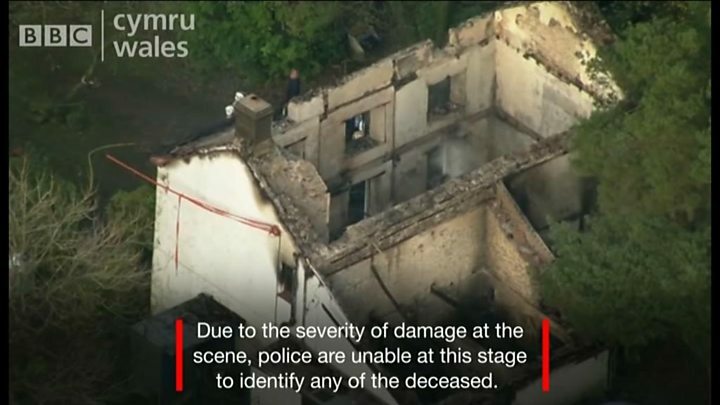 Three children have been released from hospital following a house fire that is believed to have killed a father and five young children in Powys.David Cuthbertson, 68, and the children aged between four and 11 are missing, presumed dead, following the blaze at Llangammarch Wells on Monday.Three other children aged 10, 12 and 13 escaped and were taken to hospital.Dyfed-Powys Police said they have been released and are being cared for by family. 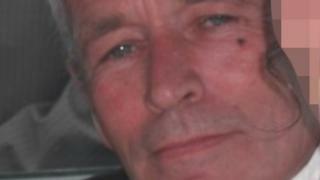 "The family continue to be our priority," said Ch Insp Martin Slevin. "They are grateful to all their friends and the local community for all the support, sympathies and kindness shown to them. "Police have confirmed that all of the victims were related. Retired builder Mr Cuthbertson lived in the rented farmhouse with his children and was described by friends as a "charismatic and utterly charming" man, who was devoted to his family.The fire broke out just after midnight on Monday and it is understood the alarm was raised by one of the children.The blaze was so intense that it caused the roof, floors and walls inside the building to collapse.Ch Insp Slevin said the "significant damage" made the recovery of the victims' remains "extremely difficult".